Microsoft’s next mobile device ‘Surface Phone’ is now rumoured to arrive next year and the report also claims that even third-party Windows Phones are also coming. Rumors surrounding a Surface Phone started way back in 2012 and since then we have seen a lot of reports claiming different features of the ultimate mobile device. The rumours boosted when Executive Vice President and Chief Marketing Officer at Microsoft confirmed the company’s plan of building new premium Windows Phones for both consumers and businesses. Later when Microsoft’s CEO Satya Nadella hinted that the Redmond giant is at work on to build the most ultimate mobile device, a mobile that is “not as defined by today’s market leaders” and it would be unique. The past rumours pointed out that Surface Phone will be unveiled this year but Microsoft has delayed the phone until the end of 2018 or 2019. A new rumour now claims that Surface Phone with Andromeda OS will be unveiled in the second half of 2018, it might be a legit report considering Microsoft has been internally escalating the development of the new OS. 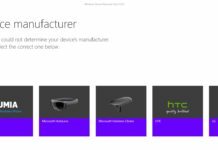 The new rumours confirm that Surface Phone is being internally tested with new Andromeda OS and it appears that there is something else coming next year too. Sources have revealed that Microsoft’s partners; Lenovo, Dell and HP are also planning to launch new Windows Mobile devices with Andromeda OS. Both Surface Phone and third-party Andromeda-powered Windows Phones will be unveiled next year if everything goes smoothly. Past rumours have already confirmed that Andromeda will be a mobile-focused operating system and it is stated to be the future of Windows operating system. Windows Phone will be back again with new Andromeda OS. Unfortunately, Microsoft isn’t planning to market the Andromeda OS and its features, the reason behind this is yet to be known. It looks like that the next year is going to be exciting for the Microsoft fanboys. What features would you like to see on the Surface Phone and third-party Windows Phones from the top vendors? The future is Web Apps, not phone apps, IMHO. Could be. But right now web banking apps don’t offer the services that their IOS or Android versions do. i.e depositing a check using a photo. 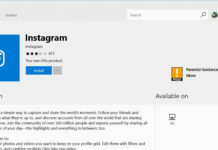 Unless MS can come up with a way to run the phone apps on their phones they’re limiting the user base for their phones. Not sure who you bank with but I bank with Chase and their app is no longer available on Windows Mobile. It’s rare that I receive a paper check but when I do, I like the convenience of taking a photo with my phone and depositing it that way. Since that function is not supported on Chase’s web site I can’t use my Lumia 950 to do it. But it’s really a moot point since MS has abandoned the smart phone business. So, I’m back to a iPhone and won’t make the mistake of buying into MS fantasies again. Bank apps give you the options not the OS or the phone. I agree web apps because the companies don’t have to use a third party developer and hence it is not only up-to-date but always accessible not like the current ones which needs to have the third party developer constantly updating the app through various versions etc. Agree, and the PC version should mirror the phone functions, or even have more, and secure, features. 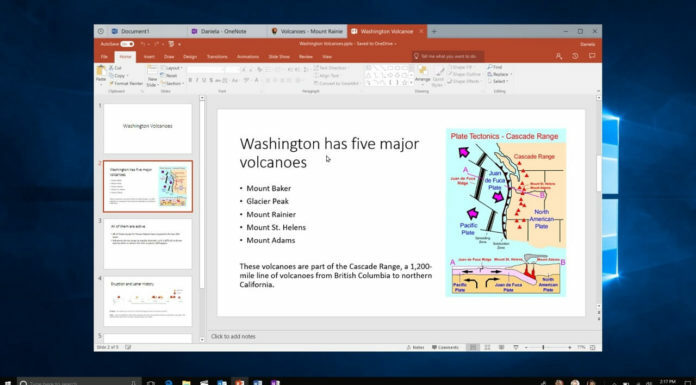 Any new Windows apps should focus on business, personal productivity and HEALTH. The reason why apps are leaving the window market, was due to the lack if sales of windows. For the apps to come back, more windows phone would need to be bought. Galera eu venho acompanhando os rumores do surface phone desde 2012 quando começaram a falar nele na net sou fã da tecnologia e do Windows phone, então quero muito que saia um surface phone que seja capaz de bater os iphones acho que é muito caro pagar o preço de Iphone com sua tecnologia pobre camerazinha de 12 13 megapixel e armazenamento muito pouco pago o preço que eles pedem em um surface phone que espero que não vai ser só um smartphone segundo os rumores vai ser um desktop então to esperando aí aguentar os fãs do Iphone me chamando de louco não é fácil, MICOSOFT o caramba! vocês verão então, assim espero! Comprem outro aparelho. Microsoft não vingou. E não vai vingar mais. Embora tenha atualizações, o dispositivo está largado. Tem aplicativos da própria Microsoft no concorrente melhores que no dispositivo dela. Portanto, ela já deu o game over e o tiro no pé. Infelizmente. Em breve terei que me desfazer do meu aparelho também, mesmo sendo usuário da plataforma desde a versão 6. I has told 2 years before that develop same O/S for computers and telephones pure waste of time is. YEAH! I really want the Surface Phone to be in the market next year! I would buy it! I think the new OS will make the platform great again. 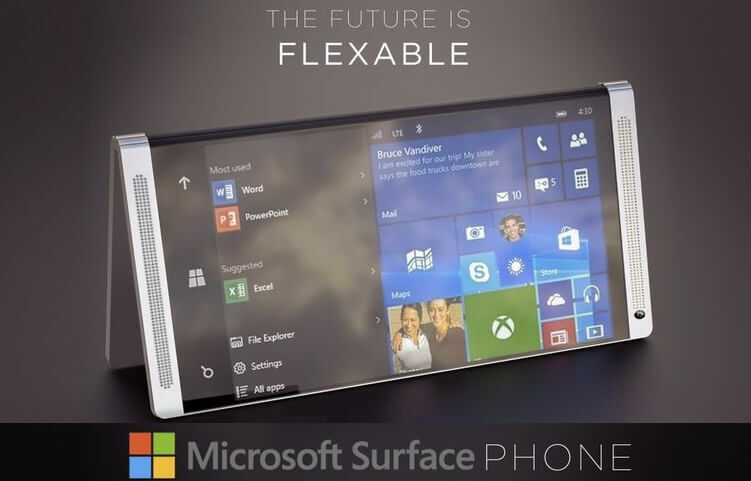 I am waiting, Microsoft, I really wait for this phone! I would like to see Microsoft and the other third-party vendors stop doing end-runs around Verizon Wireless, Sprint and US Cellular and give customers of these providers something to consider and purchase. The retrenchment that Microsoft underwent has resulted in mobile devices being released only for GSM carriers. Customers of CDMA carriers were kicked to the curb. While it is being reported that HP will be selling a Verizon Wireless version of the X3 shortly, the phone was introduced about 18 months ago for GSM carriers, and, the x3’s successor is expected to be an Android device. I wish I was exited as live tiles and Corran a for me make windows mobile the best os for me, but the lack and continuing disappearance of main apps and Microsoft lack of support for a mobile and their loyal customers is something I won’t be putting up with again. If they get all the apps sorted, put back gestures, speakerphone option back in and have been out four years without any reboots then ill defiantly think about it. I can tell you that after the 950 debacle amd MS indifference toward its customers, I simply don’t care anymore. My next phone will likely be the new Nokia 9. Once I go to android it will take something monumental to go back. Unlikely. Agreed. I had a Nokia Lumia 1520 that got dropped and broken. Because I had insurance, they would only replace it with the Lumia 950…..you couldn’t get the 1520 anymore, which in my opinion was way better in all respects than the 950. I’m seriously considering buying a 1520 on eBay, and using the 950 as a backup. The ONLY good thing about the 950 is the removable back, in case you have to replace the battery. The lumia 950 is great. I better like the screen of my 930 one which provides beautiful and vibrant colors but the screen of the 950 is way better, camera is way better, the flash is way better and the phone doesn’t break easy. For beautiful colors you need to learn when to use the HDR and when to not use it. I still use Lumia 640, 930 and 950. I really don’t understand what you guys are saying about all those bugs and things that don’t work in windows phones. Sometimes I have to restart my phones, that’s true but other than that I only had troubles with text size in the 640 one. Everything else is working just fine… not to mention that I never have seen any camera better than the 950 camera for the same price range both for android or ios phones. Everybody saying anything else probably don’t really know how to set proper settings for camera. Digital stabilization isn’t great (it still is helping, though) but the camera on 950 is no joke, trust me. Sure, the display is neutral for colors (which is a great and rare feature by the way) camera is neutral also for a very good reason. One always can use the (built in) hdr post processing suited for every taste (eye isn’t the same for all people). Bottom line, I don’t plan to go back to android very soon. Android and ios phones were a lot more expensive for the same provided hardware and anyway they didn’t match lumia phones performances (low light pictures sucked in every single android phone I tested compared to the 950). I stop here. i am all in… i don’t care how much cost…. It’s discouraging to have been hearing “next year” for the past six years. But then, what choice do I have except to hope it happens for real this time? I’m not going back to iOS and Android is intrinsically bad in every way. I will be one of the first to buy it, no matter what the price, guaranteed! I have been using Windows Phone since it first existed with Windows Phone 7.0, and am currently using a Lumia 920 with Windows Phone 8.1 Obviously all I really have to base my specification & feature guesses & assumptions on are pictures & articles, but one feature I once read about the Surface Phone possibly having is the Surface Pen. It doesn’t look like it has that n the picture here, but then, the pen attaches magnetically, so it could easily be sold separately as an accessory. Many people would also say the pen was too big for a phone, which I would probably agree with, there is always the possibility that they made a slightly smaller or modified one just for the phone. But pen or no pen, this is something I have been waiting a long time for, and the day it becomes available is the day I will be ordering (or preordering) it! I had the Lumia 810 from T-Mobile and loved it. But either T-Mobile OR Microsoft denied the Windows 8 and 8.1 OS upgrades to this particular phone and ONLY this particular phone. I used it for 3 years and only switched to iPhone because little else was available for Windows Phone. Apps were scarce with Windows Phone, but for me what was available was mostly sufficient. Plus I far prefer the Windows interface to iOS. I simply will not even look at an Android device. That’s Google and I avoid Google as much as possible. If MS comes out with a new OS and a new phone (Surface?) I would be happy to jump back in. But it’s been quite some time now and I wonder if MS can realistically compete with Android and iOS. If MS had shown more commitment to the system and devices, I never would have left. In the article it says “Windows Phone will be back again with new Andromeda OS.” I thought the Surface Phone would be using Windows 10 Mobile? Is this a typo, or is the author just not being careful how they word things? Are they just saying it this way to recognize the significance of the changes that are being made to Windows 10 Mobile? Andromeda OS is the code name for there Universal Windows Platform they are working on.. What Windows 8 and Windows 10 was supposed to be all along, a universal Windows OS that works on all devices. I am still using Nokia Lumia 1520, it is the best of the best. Amazing UI & UX. Microsoft 950XL is the only smart phone that has amazing hardware compared to other smartphones “Even Apple”. Sadly the 950 & 950XL sale has gone down because of the OS. Now we all (Microsoft Fans) know that Microsoft is working hard on New hardware and OS. I’ve been waiting so long for Microsoft to launch the new product. My 1520 was dropped and broken….I had insurance, and that’s the ONLY reason I got the Lumia 950. I couldn’t get another 1520 using the insurance. I prefer the camera and the 8.1 operating system much more than the Windows 10 mobile I have now. I liked Lumia. I thought the phone cameras were great. I didn’t need all the apps in the world. I am not a gamer. What I did want was customer service. They had none. That was the greatest disappointment. I could call Microsoft, and they didn’t know what department to transfer me to. They acted like they never made a phone. No place to go. Bizarre. They could have made a killing. Could never understand why they didn’t listen to the customer who wanted them to be successful. I liked Lumia. Is was so solid. They had great cameras. I didn’t need the extra apps. I was not a gamer. What I did need was customer service. They had none. I called Microsoft. They had no idea where to transfer me. It was if they had never created a phone. I could never understand why Microsoft did not care that their customers would have loved to make their company great, had they had a way of listening. Would have loved to have given them another chance. Have you tried using the support chat? I have never had bad luck with the support chat. What I would really like, which is probably narrow in scope, is to have a new Windows phone that can run the Behringer x-edit app. From what I’m to understand is that Windows and Windows mobile will become one in the same, with Windows mobile going away, so I’m hoping that app will work on the next generation Windows phone. My other concern is that when I switched from the Nokia Lumia 1520 to the Windows Lumia 950, the camera was worse on the newer phone. I’ve rarely been able to take a good picture with the 950. I must have gotten spoiled by the cameras in both the 1020 and the 1520. The mobile hardware is amazing, the only thing is the OS. In my lumia 1520 Mic does not work because of Windows 10 OS, even for your cam, os is the main problem. My lumia 1520’s processor temperature is raising up for just using whatsapp, this wont happen in 8.1. All the problems windows 10 mob OS is the reason, it gives lot of pressure to the hardware. I hope microsoft will create a better Mobile OS for next phones. Windows 10 Mobile OS was never built to completion from what I could tell using it when it for about 8 months after launch and again just a few weeks ago to see how it worked. They basically dropped funding from their mobile division and said ‘good enough’ before fixing all the problems created by a dramatically pre-mature launch.